Are you someone who adds hot sauce to everything from fried chicken to sweet potato fries? Do you brave the heat of the chili pepper and pick the menu item seasoned with jalapeno peppers? If you’re like me, you are loyal to spicy food around the world. While some avoid it like the plague, you seek out the mouth-watering spice and want some recommendations for where to find them. 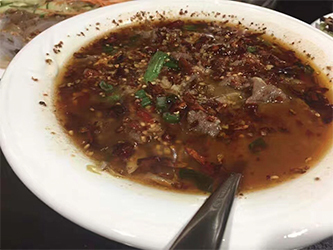 I recently visited an authentic Sichuan restaurant that features dried spice ingredients from Sichuan (known as Szechuan to most in North America), China, the origins of one of the most well-known cuisines in Asia. We hear of the infamous Sichuan chicken cooked in a sweet, tangy sauce in North America, but this is not even close to what this cuisine has to offer (in fact, Sichuan chicken is a Westernized style of the original Sichuan chicken). The cuisine is not only about the spice, but it’s a complex mélange of hot, savory, mouth-numbing peppercorn, garlic and ginger. We call this mix, “ma la” directly translated to mouth-numbing and spicy, the two iconic traits of this cuisine. 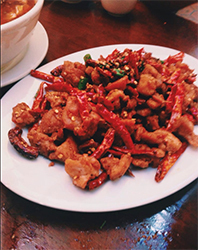 The real Sichuan chicken features dried chili peppers, deep fried chicken and spices with no gooey sweet sauce. Shui Zhu Niu Rou is directly translated as water-boiled beef, a misleading translation. 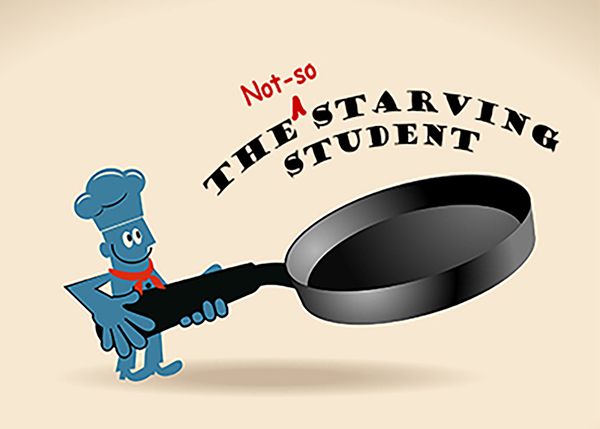 Not only is the dish not bland, it might just cause your eyes to water from the heat. A better translation would be Sichuan boiled beef. After about five minutes into trying this dish, my friend and I stopped talking. There was a mix of pain, excitement and overwhelming spiciness that seemed to cut off our circulation. We could only focus on sweating. It felt like a blessing when the rice finally came to help wash down the chilli oil. 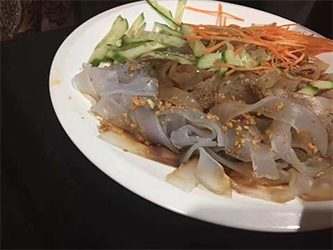 Another dish we tried was the glass vermicelli noodles. These broad vermicelli noodles have plenty of chewiness or “al dente”, the French expression for firm to the bite. These cold noodles were fully coated with chilli oil, ground peppercorns and garlic. 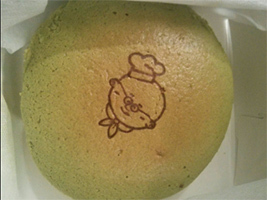 In hindsight, this would have been an excellent appetizer before hitting it home with the boiled beef dish. We finished off the evening with this Sichuan beef in chilli oil. 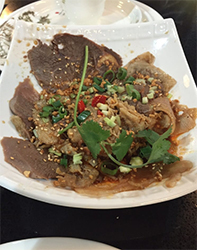 This dish is another cold dish originally served with beef lungs, tripe and other organs. However, the version we have here includes only tripe and beef slices. This savory dish is so flavorful that just the thought of it evokes mouth-watering madness. If you’re looking for some adventure or spice up your mundane weekend dinner, trying a local Sichuan restaurant could change your taste buds forever (in a good way!). Just remember that this endeavor is not for the faint-hearted. To be safe, ask the waitress to bring an extra glass of water or extra rice and, if needed, a bottle of Zantac for potential heartburn. At the end of the day, the experience is completely worth it.